Expertise from a licensed agent costs you nothing. You pay the same premium for a supplement whether you buy online or use an agent. You can explain any unusual circumstances, and ask questions such as: Is now a good time to switch plans? Is my doctor a covered provider under this new plan? Will my prescription copays change? Best of all, you’ll receive a timely response. Your information is private. Some websites will sell your information, but it’s secure with your licensed insurance agent. He or she is only interested in helping you make the best health insurance choices. Your agent is likely to offer more choices than most websites. 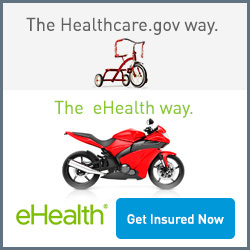 If you’re on one insurance company’s website, you’ll only see its plans. Your agent may have access to many plans and can help you compare. Rather than trying to solve a problem online, you can turn to your agent to advocate for you; you are very unlikely to get this assistance online. Your local agent supports your community, is right there when you need help. Thanks to the relationship you develop with your agent, they should be able to provide all the information you need to make this important decision.